The primary focus with Sales Tax System is to help your business get and stay in compliance with sales tax. The secondary goal is to help you get and stay in compliance with your business. This is a huge benefit and resource and draws upon our 21 years on experience with our main company, Nevada Corporate Planners, Inc. as we have established thousands of U.S. Companies. Even if you are already working with a sales tax remitting company and getting updates from them on sales tax, our system will help you with the foundation of your business. Here are the strategic research and strategies we are working on; and you, as a sales tax system member, will receive updates at no additional fees. This is part of your membership. Navigating the new Economic nexus standards post Wayfair vs South Dakota (what has happened vs what is likely to happen and, most importantly, how do you move forward and protect your cash flow). You will receive both email and membership updates to help you make better decisions. Researching the steps to update your state sales tax account when it comes to a name change, address change. New updates are coming soon for each state. This has involved our team calling states daily for details, this can be up to 1-2 hours on hold at a time. Evaluating input from MTC meetings on proposed sales tax regulation and reporting on what is likely to change. You will continue to receive important updates to the end of the year and how to get in position for 2019, especially as states legislative meetings continue. Interviewing new SALTs (sales and local tax partners) for support in the area of nexus studies, liability analysis, voluntary disclosure agreements (VDAs). The key is balancing a firm with the fees they charged based upon the level of service. Our goal is to bring you the best options. In the past, we have run into some challenges with resources having lower pricing, but not having the team to fulfill or follow up. Refining the banking process for foreign seller traveling to the U.S. against ever-changing bank rules. This is constantly changing, and updates are critical. Upgrading our virtual address and scanning service to support our e-commerce clients. The states only email out steps for your tax account login details and almost all updates are via physical mail (so outdated). This puts an extra burden on you with receiving items late, receiving a flood of items from each state, and sorting through everything. This is guaranteed to create fees penalties and delays later on. See this one horror story example. Now we have a new service available to both U.S. and foreign sellers. Foreign qualification. This involves a very complex subject between sales tax nexus and income tax nexus. As well as this, it requires the skill set to ask the right questions to both the department of revenue and the Secretary of State. Our experience with our incorporating services over 21 years has been a huge benefit in this area. At the end of the day, If you ask enough questions, you are not likely going to get the right answer. We designed a team of two, over the last two months, to daily call each state with our list of questions to provide updates, which are posted in Sales Tax System. State income taxes: This also comes into play to determine which states will require a state income tax return to be filed. Many times, this is based upon how you fill out the state’s taxation type with your sales tax registration. This is especially tricky for foreign sellers. Federal income taxes: Our updates are especially important for foreign sellers when late fees on U.S. tax returns can be as high as $10K or more. 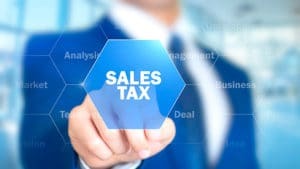 ITINs (we have a new resource): Special note for foreign sellers: there are a couple of states that require an ITIN before you can collect and remit sales tax. We have a new resource we are vetting and clarifying the terms before we tell members about it. Business structure: You have access to past training on entity formation and compliance. 90% of you that formed an entity on your own likely have ZERO protection (and that is bad when you are selling products). Selling your e-commerce business: this is a popular subject, but only when it is done correctly do you achieve maximum value. Therefore, we have a special training on this subject with your Sales Tax System membership. Trademark your brand with a comprehensive search. Most do this improperly because they skip the most important part; a comprehensive search before going to the trademark office to file. We have the best resource for our members. Closing your business: The only thing worse than closing your business is not closing your business properly, especially with sales tax issues. We have the steps you must consider if your Amazon business has closed and you have never dealt with sales tax. Over the last 6 months, we have greatly improved many of our sales tax permit services and our customer service. Permit Process Improvements: We have completely revamped our 10-step process, including using 123 form builder as the backbone for our master sales tax application to the updates, with our process documented with clear steps and instructions. You are not able to save the sales tax application and come back to finish later. Each email contains steps (1-10) that are numbered to keep you on track and greatly simplify the process. We are creating tax accounts in the states that don’t require the application be mailed. This is huge when it comes to remitting sales tax. Customer Support: We have added four more full-time members to our team. Specifically, one person is dedicated to monitoring support tickets every 15 minutes and delegating them to the right person on the team with faster response time. New Calculators: This is the biggest area to fully comprehend the entire cost of compliance, which varies from state to state. Getting caught up is expensive; the key is how much, specifically. Many of you have found out the past sales tax and penalties are one cost, but adding the penalties on late filing fees and filing past returns is another big one to navigate. New Partners: We are always on the lookout for the best partners to help you in each area of support. In the past, some were not able to deliver on what they offered or were just not the right fit. We are excited to be working with new partners (and some familiar ones) to help support you as needed. In the end, sales tax compliance is so much more than just remitting sales tax returns. It is the compliance side of your business, not the fun part, but the necessary part to build a real brand. That is why sales tax system covers so much more. This includes cash flow, financing, decision making, timing, business structure, and taxation. Do You Prefer One-On-One Support? As a Sales Tax System member, you will receive a 10% discount on our phone strategy sessions. If you are struggling to determine which direction to take in your business, having someone with a skilled background in all these subjects, plus psychology, will help give you clarity to move forward with confidence. This help may include how to scale your business or making the decision to close it out. I have experience in those areas and have consulted with and helped many successful entrepreneurs over the years.